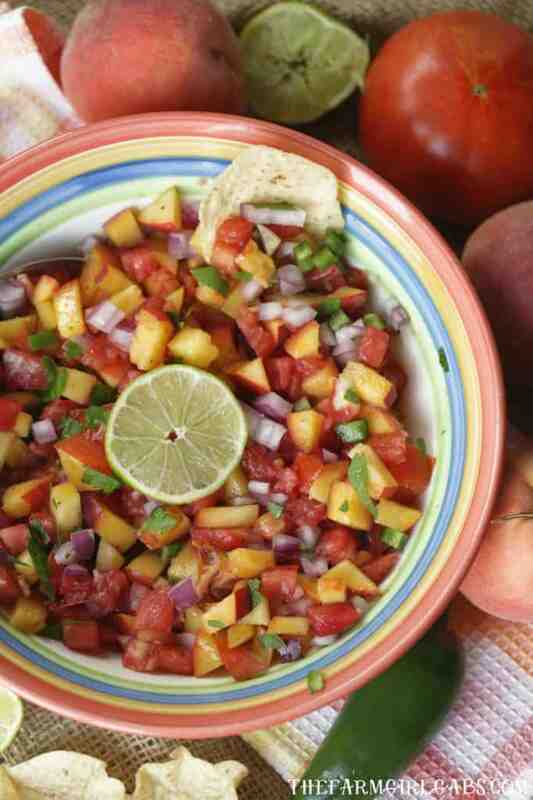 Spice up your summer with this tasty Peach Pico de Gallo recipe. Grab those fresh farmers market peaches and whip up a bowl to snack on. Happy National Farmers Market week! As you can imagine, this foodie holiday has a special place in my family’s heart since we own a large farm market here in town. Farming and farmers markets go hand in hand. Shopping at your local farmers market is the BEST way to enjoy fresh fruits and vegetables. Most often they are picked that morning so it’s definitely as fresh as you can get. Peach season is in full swing here on our farm so I wanted to put a savory twist on this sweet favorite. 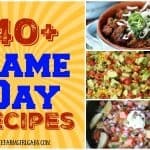 This easy Peach Pico de Gallo recipe will spice up any party or casual occasion. And of course, you can use those sweet peaches you just purchased at your local farmers market. I enjoy good salsa, and I don’t mean the dance. Although I like that too, that is a totally different subject. 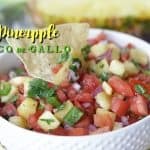 Last year, I shared a delicious Pineapple Pico de Gallo which was a huge hit. So, I thought I would share another twist on a classic salsa by adding some of our farm fresh peaches into the mix. We are having an open house at our farm market this weekend and I am planning to make this Peach Pico de Gallo recipe for our customers to sample. 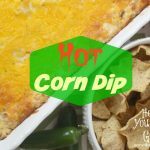 Simple ingredients like peaches, tomatoes, onions, and jalapenos equal a sweet and spicy salsa that can be mixed together in minutes. 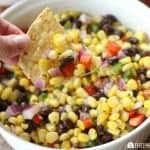 Another cool thing about this Peach Pico de Gallo is that it is also a great condiment to top chicken, fish or steak with. The color of this dish is so amazing. I mean seriously, look how pretty the orange, red and green show off. 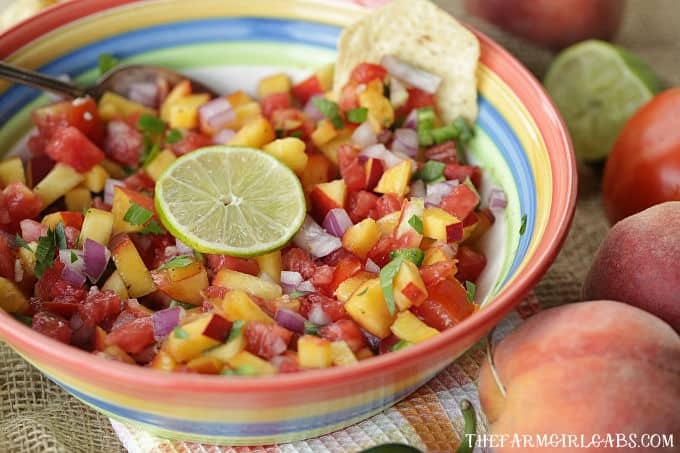 This Peach Pico de Gallo is ALMOST too pretty to eat. But have no fear, it will be gone in no time once the kids and hubby get home. In the meantime, celebrate National Farmers Market week but supporting your local farmers market. 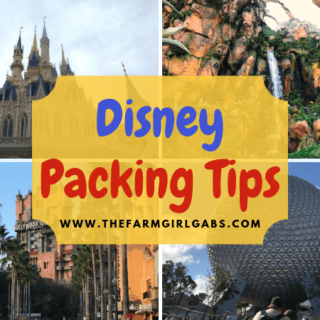 Let me know what your market haul is! Season with salt and pepper. Mix in cilantro. Squeeze the juice of one lime over top of Peach Pico de Gallo. Drizzle with olive oil. Mix together. Save this Peach Pico de Gallo recipe for later. 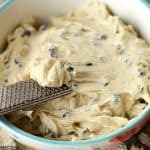 Click on the photo below and pin to your favorite Pinterest board.